Actually, just sitting on your upholstery gets it pretty dirty. 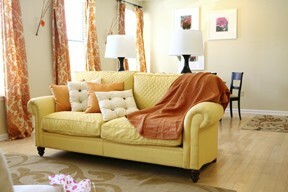 Kids and pets can do a number on that sectional. 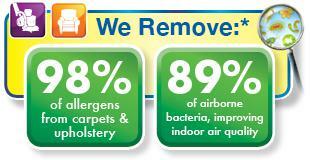 Alpha Chem-Dry's healthy home cleaning can fix that. Alpha Chem-Dry of Alpharetta, GA will have your upholstery sparkling clean and dry in 3-4 hours, instead of the 1-2 days it would take for other cleaning service companies. How do we do it? It's The Natural, our proprietary, effervescent, carbonated cleaning process, that is the heart of our company. We use low pressure, with millions of microscopic CO2 bubbles to lift dirt and stains from your fabrics, bubbling them to the surface to be extracted and swept away forever. Alpha Chem-Dry commissioned a leading independent laboratory to test the performance and healthfulness of our Hot Carbonating Extraction (HCE) cleaning process. The lab concluded that Chem-Dry’s HCE process removes an average of 99.1% of common household allergens from upholstery. The allergens tested were dog and cat dander and dust mite allergen. It's safe and gentle for most fabrics and for your entire family, including your pets. The Natural contains no soaps, solvents, enzymes or other harsh chemicals. We leave behind only your sparkling clean upholstery with no soapy residues to attract dirt, causing your fabrics to get dirty again even faster than ever. So if you are living in the Atlanta metropolitan area and are in need of professional upholstery cleaning, be sure to give Alpha Chem-Dry a call. Call us now at (770) 495-7004 to schedule.